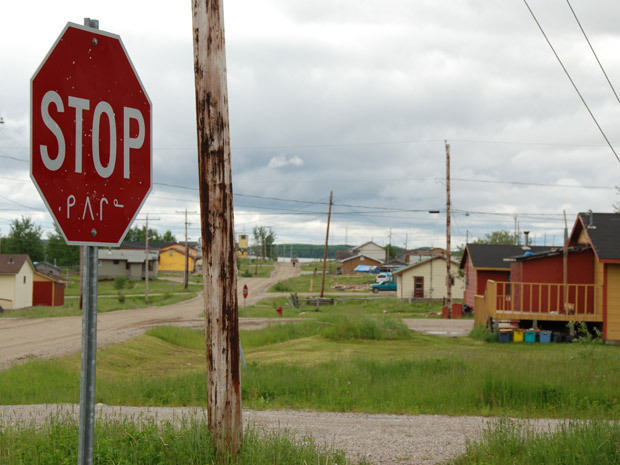 OTTAWA — An Ontario First Nations community that declared a state of emergency recently over growing youth crime says the federal government is not doing enough to help. The Eabametoong First Nation, also known as Fort Hope, said Wednesday that assistance efforts from Ottawa have so far fallen short. The comments follow visits to the reserve — more than 200 kilometres north of Thunder Bay, Ont., and accessible only by plane — by officials from Indian and Northern Affairs and Health Canada on Friday. The First Nation had one day earlier also hosted Sharon Johnston, wife of Gov. Gen. David Johnston, and Ruth Ann Onley, wife of Ontario Lt.-Gov. David Onley. “We are very appreciative of the support that the federal government has provided thus far, but we are still left with the impression that the government is not taking our state of emergency seriously,” Eabametoong Chief Lewis Nate said in a statement. The 1,200-person native community this year has seen three homicides, about 50 arsons and various cases of animal mutilation. A lack of ministerial representation in last Friday’s meetings with the federal departments and no public acknowledgment of the situation from Prime Minister Stephen Harper are among the issues singled out by the First Nation in Wednesday’s statement. The federal government has said, in response to the Eabametoong’s crisis, it would provide $400,000 in funding, including $200,000 for repairs to a school that was subject to arson; $25,000 for emergency equipment and $50,000 to pay for security personnel. But according to Nate, that’s not enough.